Canada’s most populous province will ban mobile phones in classrooms next year. Ontario’s education Minister Lisa Thompson announced the new policy on Tuesday, after a year of consultations. The ban would apply during LL instructional time, but their would be exceptions for teachers who want to use them as part of a lesson plan, students with special needs and medical reasons. Many districts have already instituted bans, but this edict would apply to all public schools across the province. “Ontario’s students need to be able to focus on their learning,” Ms Thompson wrote. Ms Thomson said their consultations revealed 97% of parents, educators and stakeholders were in favour of a ban on the distracting devices. 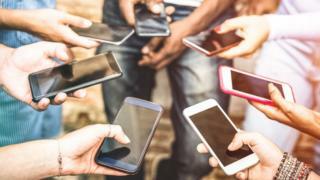 The move was praised by many, but some say the ban is antiquated and a missed opportunity to teach children about responsible technology use. Last summer, French officials banned mobile phones in class for students age 15 and under.